On 19 February 1942, mainland Australia came under attack for the first time when the Japanese launched two air raids on Darwin. The first attack of 188 naval aircraft at 9.58 am was from a Japanese fleet that included two battleships and four aircraft carriers that would invade Timor 24 hours later. The raid on Darwin was designed to hinder Darwin’s potential as a base to launch a counter-offensive and also to damage Australian morale. The first attack lasted 40 minutes. Of the 47 ships at Darwin that day, eight were sunk and one beached and lost. Eleven others were damaged. Among those damaged was the hospital ship HMAS Manunda, on which a bomb fell through a number of decks before exploding, killing 12 people including Army nurse Sister Margaret de Mestre. The tanker British Motorist blew apart and sank, spilling blazing oil into the water. The American destroyer USS Peary was hit by five bombs, one of which exploded in the ship’s magazine. The crew fought back, manning their guns, as the Peary sank. Of the Peary’s crew of 144, only 53 survived. The ammunition ship Neptunia was also hit and sunk, killing 45 men. Darwin town itself suffered severely. Many public buildings were badly damaged; the post office, police barracks and Administrator’s office among them. Nine of ten United States Army Air Force Kittyhawk fighters were destroyed, four in the air, four which had landed attempted to take off but were shot down before they could gain altitude and the ninth was destroyed on the ground. The second attack, which began an hour later, involved high altitude bombing of the Royal Australian Air Force aerodrome which lasted for 20–25 minutes. The two raids killed at least 243 people and wounded about 350. 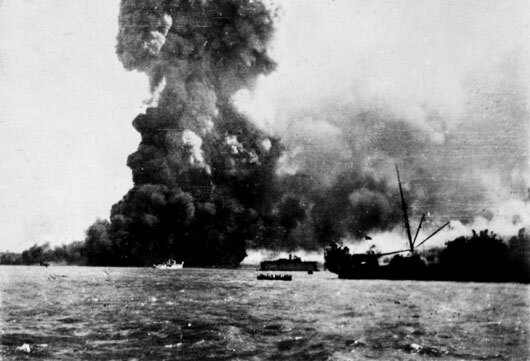 Northern Australia came under attack from Japanese bombers 97 times. 64 of these raids were on Darwin, the last occurring on 12 November 1943, but attacks were also made on Broome, Wyndham, Port Hedland and Derby in Western Australia, Katherine in the Northern Territory, Townsville and Mossman in Queensland and Horn Island in the Torres Strait. Enemy aircraft would continue to fly reconnaissance missions over the region until mid 1944. 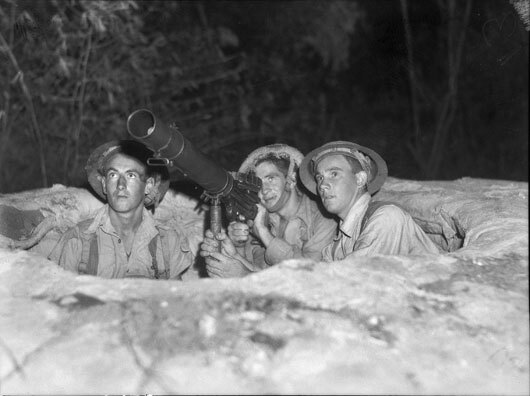 A machine gun crew on anti-aircraft duty in the Darwin area, 1942 (AWM 012741). 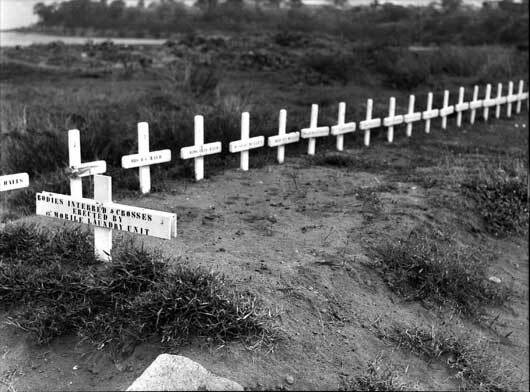 Graves of civilians who were killed during a Japanese air raid on Darwin (AWM 012787). 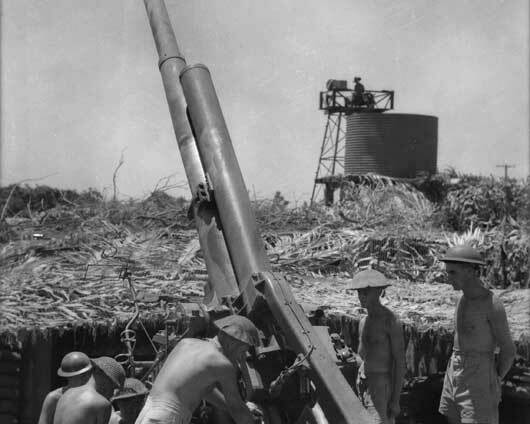 A gun crew of 14th Australian Heavy Anti-Aircraft Battery loading, ready for firing on Japanese bombers (AWM 027793). 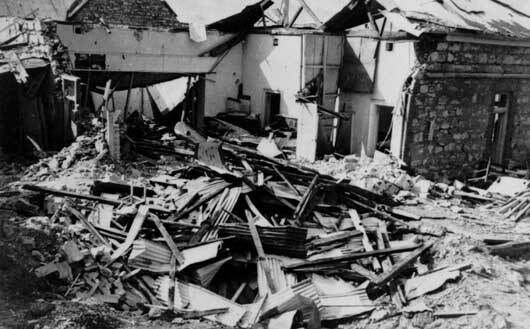 The ruins of the post office after the first Japanese raid on Darwin (AWM 044607). 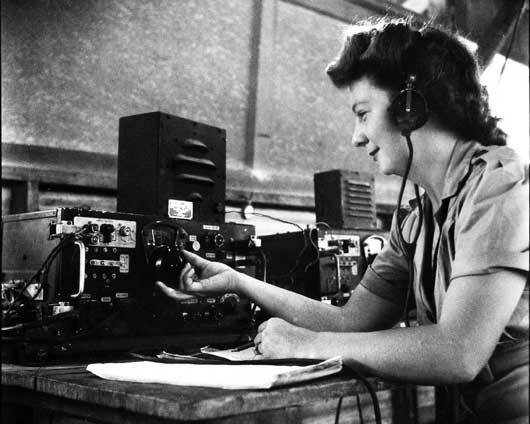 Signalwoman N. Overend tuning a No. 4 set at a receiving and transmitting centre at Katherine, Northern Territory (AWM 088627). Scenes of destruction during the first Japanese air raid on Darwin Harbour (AWM 134955). 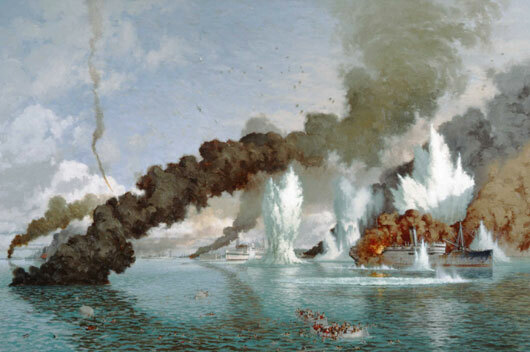 Artwork by Ray Honisett depicting a Japanese air raid on Darwin Harbour (AWM ART28520). 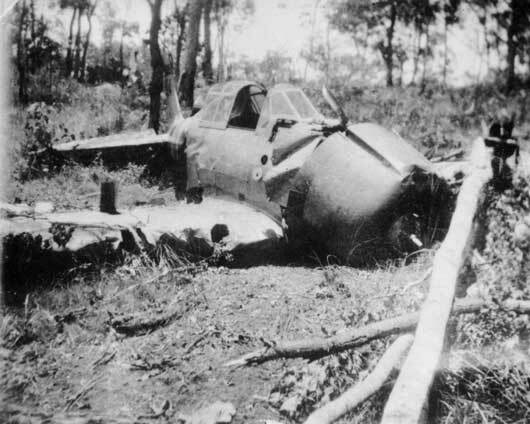 A Japanese Mitsubishi Zero B11-1 aircraft, crashlanded on Melville Island (AWM P00022.022). 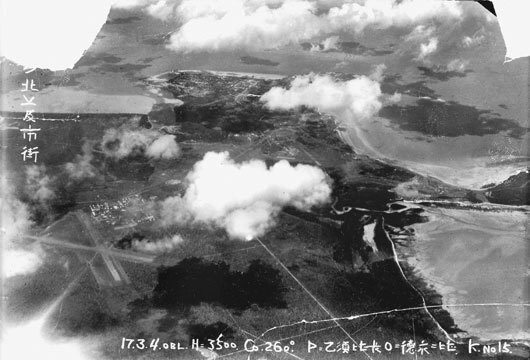 A Japanese aerial photograph taken during a reconnaissance flight over Darwin (AWM P00913.002).